Toxic pads, tampons and even diapers. Do you know what’s lurking in your products? There are many things in life that we just have to deal with. As women this list includes periods, and if you are a parent, poopy diapers. So, as humans, over centuries we have found ways to make these products better, more absorbent, cheaper, and nice smelling. But, at what cost to our health? This is something that I have questioned for some time now and have found others looking into the same things. According to womensvoices.org, most feminine care products have chemicals and ingredients that can be harmful to our health. Pads: Hazardous ingredients may include dioxins and furans, pesticide residues, unknown fragrance chemicals, and adhesive chemicals such as methyldibromo glutaronitrile. Exposure concerns include cancer, reproductive harm, and endocrine disruption. Studies link pad use to allergic rash. 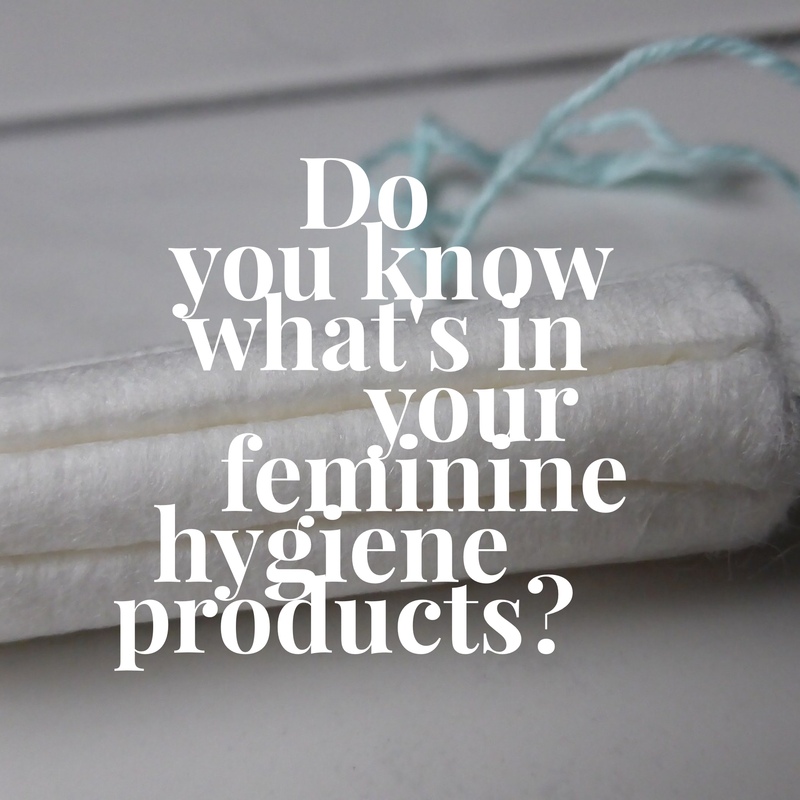 Feminine Wipes: Hazardous ingredients may include methylchloroisothiazolinone, methylisothiazolinone, parabens, quaternium-15, DMDM hydantoin, iodopropynyl butylcarbamate, Triclosan and unknown fragrance chemicals. Exposure concerns include cancer and endocrine disruption. Studies link wipe use to allergic rash. Feminine Wash: Hazardous ingredients may include unknown fragrance chemicals, parabens, methylchloroisothiazolinone, methylisothiazolinone, DMDM hydantoin, D&C Red No.33, Ext D&C Violet #2, and FD&C Yellow #5. Exposure concerns include endocrine disruption, allergic rash, and asthma. Feminine Deodorant (sprays, powders and suppositories): Hazardous ingredients may include unknown fragrance chemicals, parabens, and benzethonium chloride. Exposure concerns include reproductive harm, endocrine disruption and allergic rash. Feminine Anti-Itch Creams: Hazardous ingredients may include unknown fragrance chemicals, parabens, methylisothiazolinone and an active ingredient, benzocaine, a mild anesthetic. Exposure concerns include endocrine disruption, allergic rash, and unresolved itch. 1. 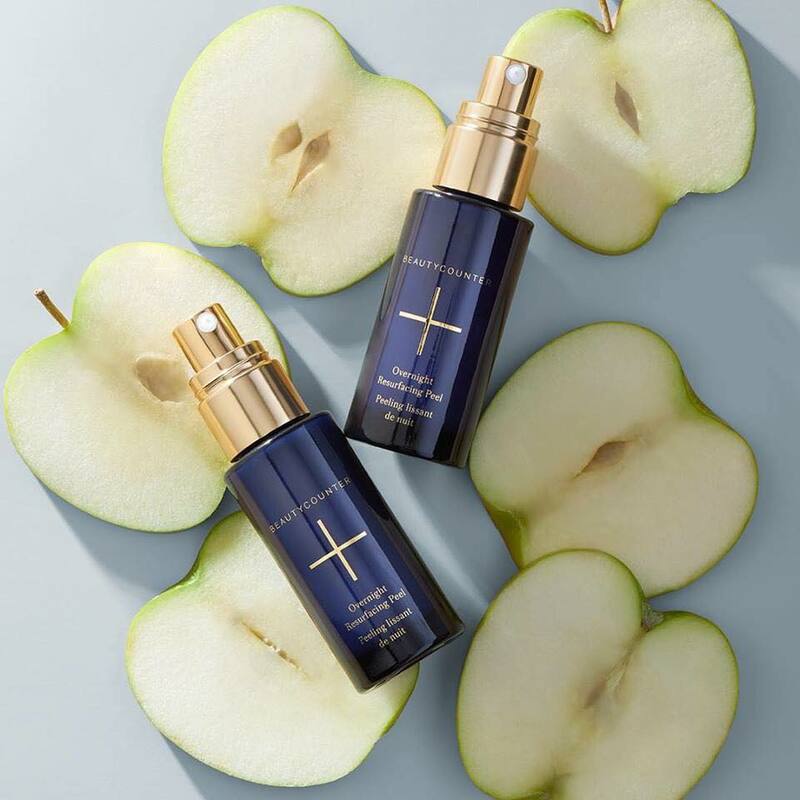 Naty – I love this company! They have a wide variety of products and I don’t feel like the quality is compromised. The company was started in Sweden by a mother who wanted to have safe products for her sons. They started of with baby products but now they include feminine hygiene products as well. Their feminine hygiene products are made of a GM-free corn product and are all chlorine and fragrance free. 2. NatraCare – This one is the most readily available. They offer good options and the quality is pretty good. Sometimes I find they aren’t as absorbent and I have to use more pads, thus costing more money. Unlike Naty, NatraCare’s foucs is on feminine hygiene. Their products are all made of organic cotton, and are chlorine, plastic and fragrance-free. Other products that are good are the Diva Cup or a sea sponge. I have not tried either of these but I have heard they are really great alternatives and way, way less wasteful. Also, if you are interested in more eco-friendly options – check out this article, Have an eco-friendly period, which discusses reusable options. This is something that everyone should be aware of. Much like feminine hygiene products, diapers contain similar ingredients that can be very harmful to children. 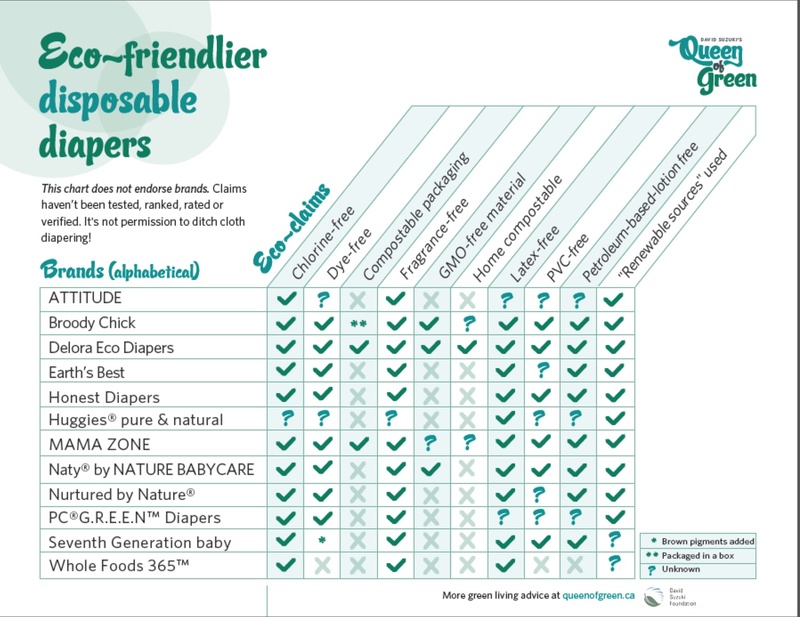 Disposable diapers can contain chemicals such as Dioxins, VOC’s and Sodium Polyacrylate. This article explains the dangers. My opinion is, babies don’t have the ability to choose what they wear day in and day out so it is important to make sure they are wearing the best options. The best for them and for the earth is cloth diapers and there are some great products on the market that can help to make this easier. Using cloth diapers isn’t only good for the earth, it is good for your wallet as well. Some estimates put the cost of diapers at $3,000 over the 2-3 years your child spends in diapers, where cloth diapering costs around $300. My personal favourite, Omaiki, I find their fit and style (all in one) is the most like a disposable. They all have good qualities it’s just about what works best for your baby! It has been a lot of trial and error but for us the Omaiki seem to work the best! Also, if you are in Calgary, I highly recommend checking out Babes in Arms, in Bridgeland for cloth diapers and all your eco-frieldly needs. They are a great resource and have great products! But, there are many times when disposable diapers are a handier option. I personally really like the performance of Naty diapers but, the Seventh Generation baby and Earth’s Best diapers are more readily available in my area and at a better price point.